After leaving active duty, with the GI Bill’s help, John attended Pierce College and North Seattle College as an engineering pre-major. 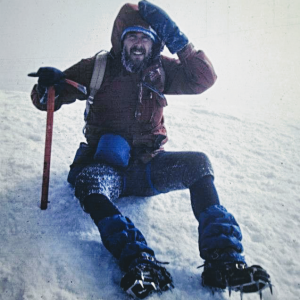 While at North Seattle, John served as President of the College’s Alpine (Mountaineering) club, and then as a Representative, Vice-President, and, finally, President of the student government. John attended the University of Washington, graduating in 1986 with a Bachelor of Science degree in Construction Management.